Animal therapy is a fun way of providing emotional support to young people. Mabel is our school therapy dog. Studies have shown that animals can make great therapists helping to improve confidence, cognitive abilities and well-being. At Barnton Community Nursery and Primary School, we recruited a four legged member of staff to a play key role in helping our pupils. 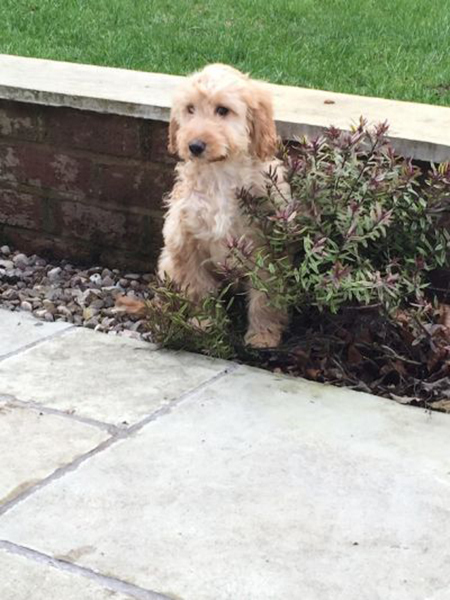 Mabel is a Cockerpoo who joined us in 2015, since then she has become an invaluable member of the team. Her work at school, which is a Centre of Excellence for Inclusion, is varied. Mabel provides pupils with courage, confidence and companionship. She is friendly and outgoing and loves to be stroked and fussed. Pupils at the school can spend time with Mabel if they are having a difficult time or are anxious. Some children even prefer reading to Mabel rather than adult staff, it is really good to be able to read to a non-critical friend. She is there to listen to us, when we are feeling unhappy and she loves to walk with us, while we are having exercise on the school field. Mabel is a much loved member of our school and her work here is invaluable.